for $469,500 with 3 bedrooms and 2 full baths. 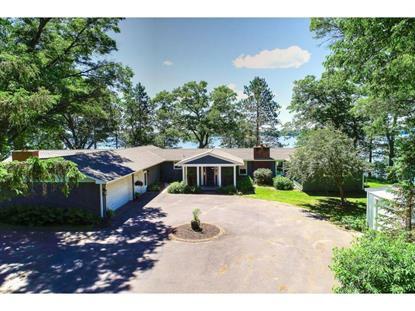 This 3,550 square foot home was built in 1970 on a lot size of 295x755. 1 mile to Golf course/4 miles to Town/less than 2 hrs to Mpls. 4.27 acres on dead-end road. Plenty of room for extra company. Tons of wildlife. Park like setting w/view & beach frontage. Lodge feel w/all the great space. Completely updated in past few years. Open concept floor plan. Quartz countertop/copper sink/crown molding/solid Oak flooring/soaker tub/6 panel doors/stainless steel appliances/tiled back splash/custom built-ins/brick fireplace. Tons of storage.